In the tittle of the blog we specifically mention USA Instagram followers that means the geographical location of your followers matters. 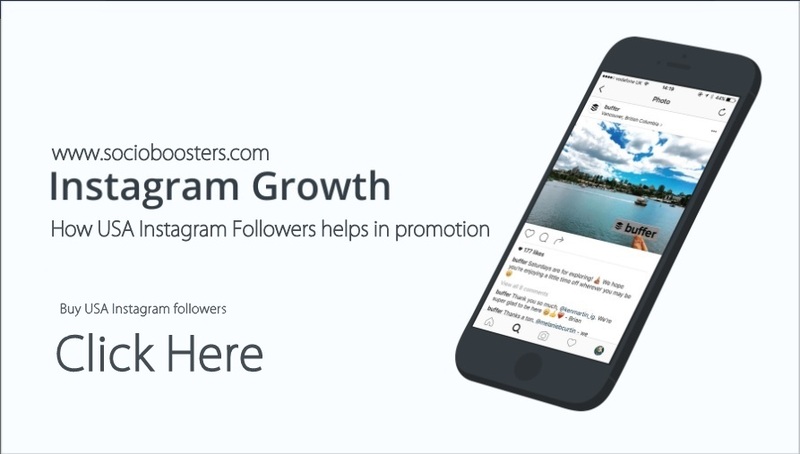 If you have business in California so followers on your Instagram account must be of California area, so that people will interact with your account and you will get results from your Instagram promotions. How to promote Instagram profile? There are many ways by which you can promote your username, depends on the level of your need, if you are celebrity, artist then you need as much followers you can so that your talent will reach to maximum number of people. If you have a store which is in California then your requirement is limited. You can easily create your Instagram account and can put images in that but the real task is where to get USA followers? Hashtags are easy way to get free followers but in this your content must be high quality and attractive. People search for the popular hashtags to explore something new. If you have interest in fashion then you can use #fashion on your post, so the posts which have more likes and the accounts which have more followers appears on the first search on Instagram, so there is chances that people can follow you if they interested in your fashion products. The use of the proper type of hashtags related to the post is important. It also helps to make your brand strong, you can use your unique hashtag with your every image so that people can search for your products with the one search of hashtags.